As technology brings the world closer together than ever before, opportunities to do business in foreign markets continues to grow. But once you’ve decided to embrace this new venture, you need to be ready to take on a new set of challenges – especially currency market volatility. In an environment where currency fluctuations can shrink profit margins and detract from your bottom line, you need to prepare your business against the unique cash flow risks international business brings. But, currency fluctuation doesn’t have to be a cross to bear. 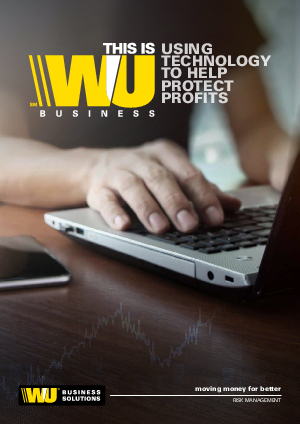 Discover the nuts and bolts for building a successful risk management strategy, and see how new online tools, like the WU EDGE platform, can empower you at every step to help protect profits.